Maryann Reyes Jackmon is senior director of external relations for the California State University Office of the Chancellor. She is responsible for outreach to all CSU constituent groups and serves as the primary liaison between the Chancellor’s office and underrepresented communities in California. She is responsible to identify and implement strategic opportunities to promote college preparedness and access to the university. Reyes Jackmon oversees initiatives that often collaborate with Academic Affairs while providing engagement opportunities for the Chancellor and 23 campus Presidents in regional, statewide and national organizations focusing on underserved communities. The CSU’s partnerships with African American churches, Latino serving organizations, Asian and Pacific Islander representatives, and Native American communities have created new pathways to underscore the need for academic preparation leading to a university education for traditionally underrepresented communities. Reyes Jackmon will also advise and support the system and campus leadership on related issues. Reyes Jackmon is a senior manager with leadership experience in the private, public, and non-profit sectors. Prior to joining the CSU Chancellor’s Office, she dedicated 17 years to Southern California Edison (e.g. director of Local Public Affairs, manager, Economic Development Services, manager, Business Solutions). 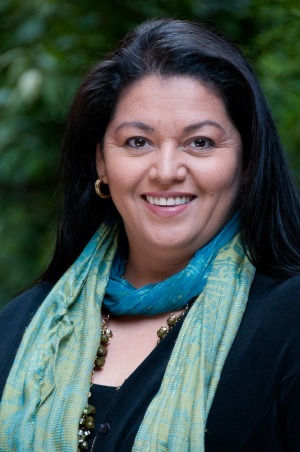 Previously, Reyes Jackmon served as district director to United States Senator Dianne Feinstein, and as assistant director of Project EXCEL, an education division of the National Council of La Raza, a Latino think tank based in Washington, D.C. She also has a strong record on community service. Reyes Jackmon received her Bachelor of Arts degree in Economics from University of California, Santa Cruz; and studied at the Graduate School of Public Affairs at the University of Washington.